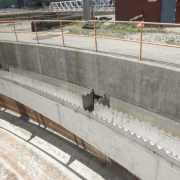 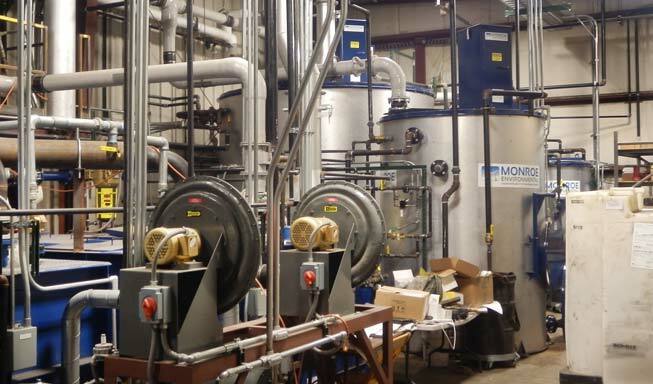 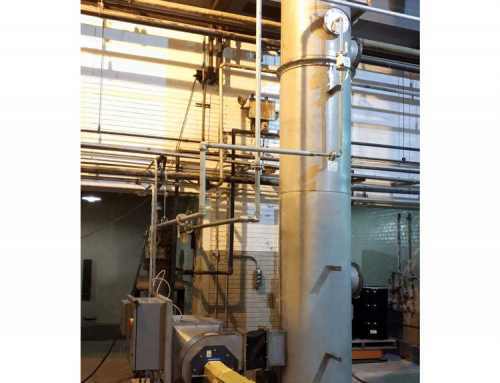 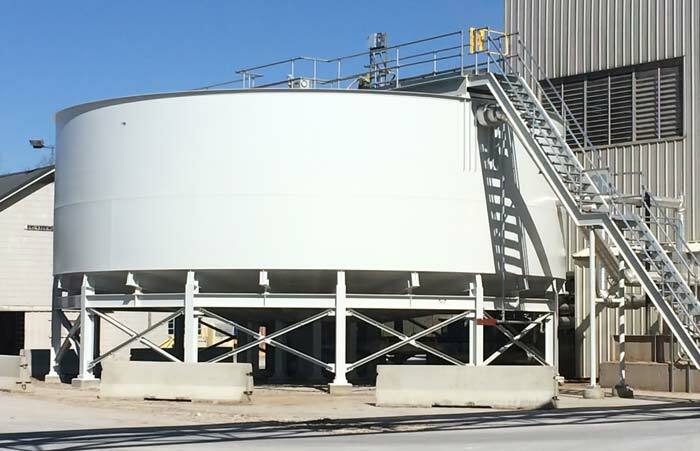 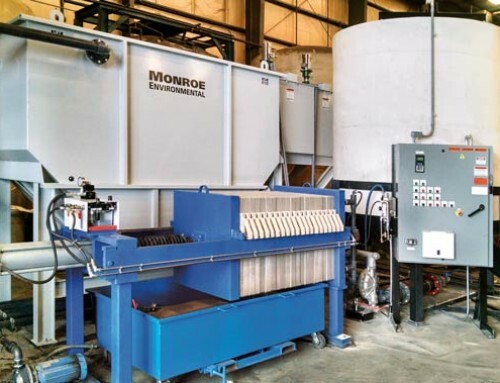 Monroe Environmental provided new internals for a secondary clarifier that had reached the end of its service life. 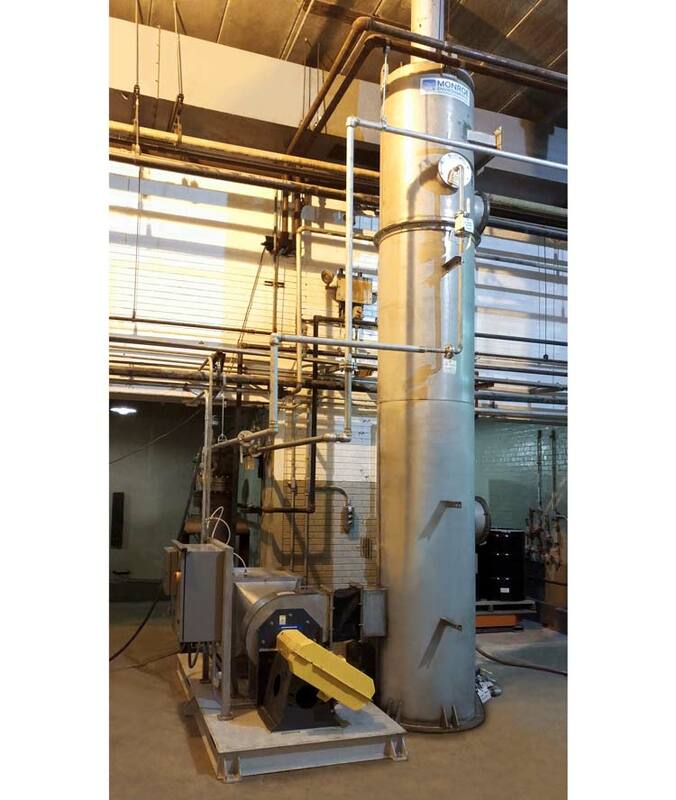 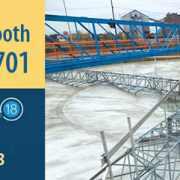 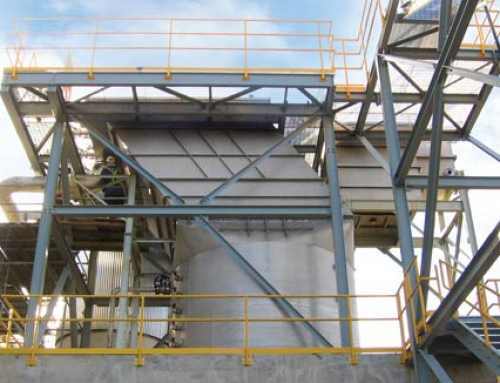 The existing clarifier was over 30 years old and required some design modifications incorporating the latest best practices for clarification and separation of secondary/activated sludge. 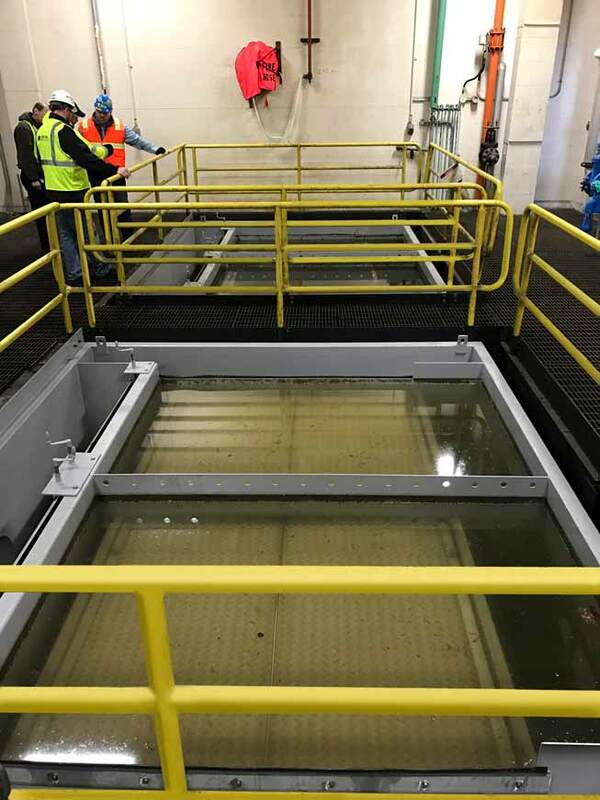 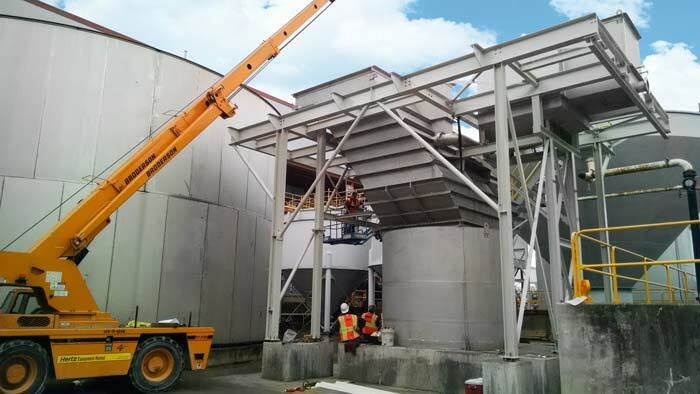 Monroe personnel visited the site to inspect and dimension the unit to ensure that the new clarifier internals would fit perfectly into the existing tank. 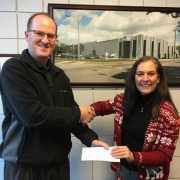 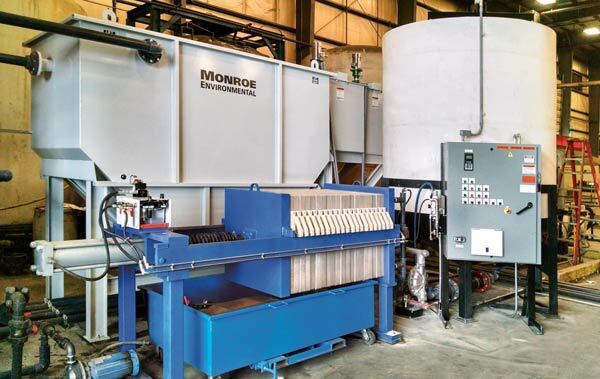 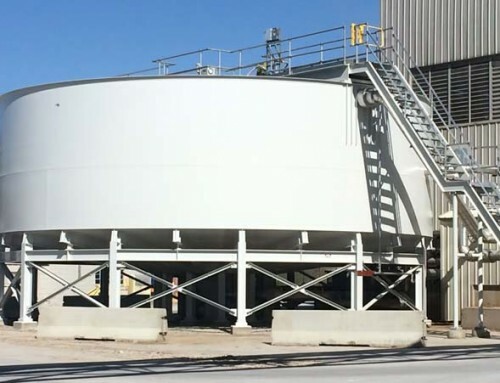 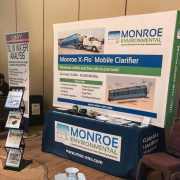 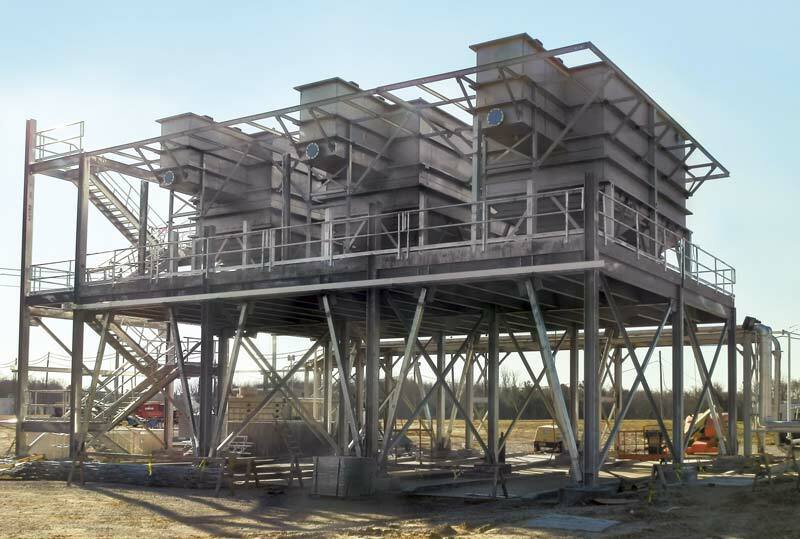 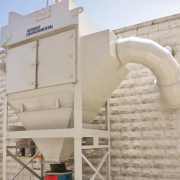 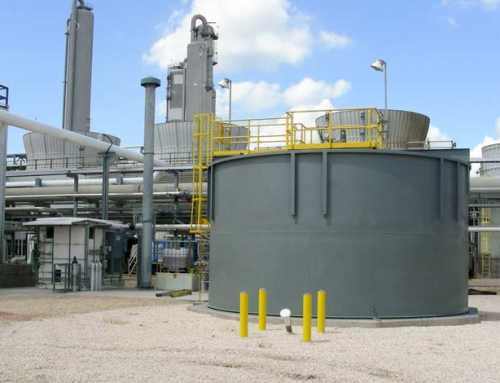 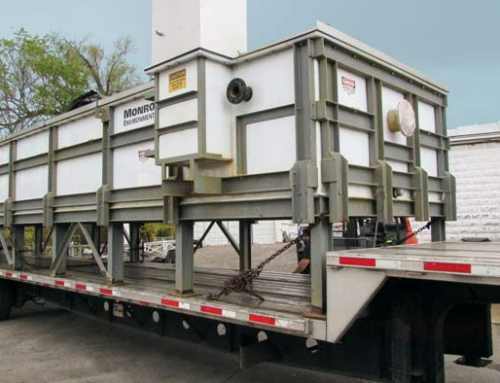 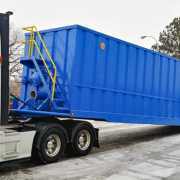 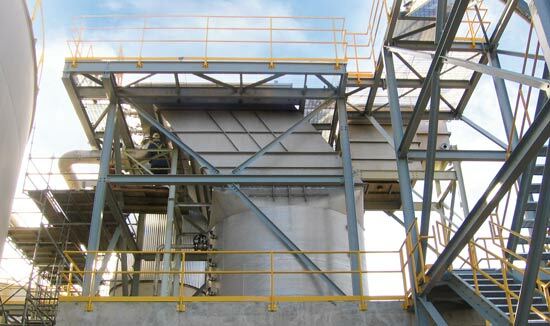 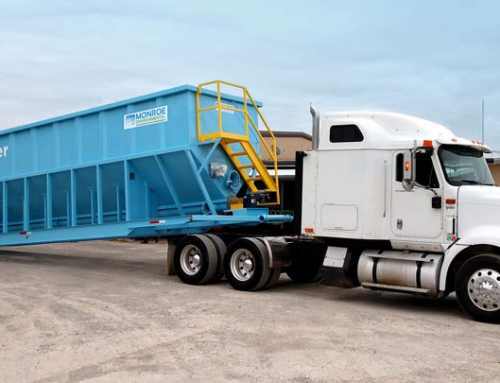 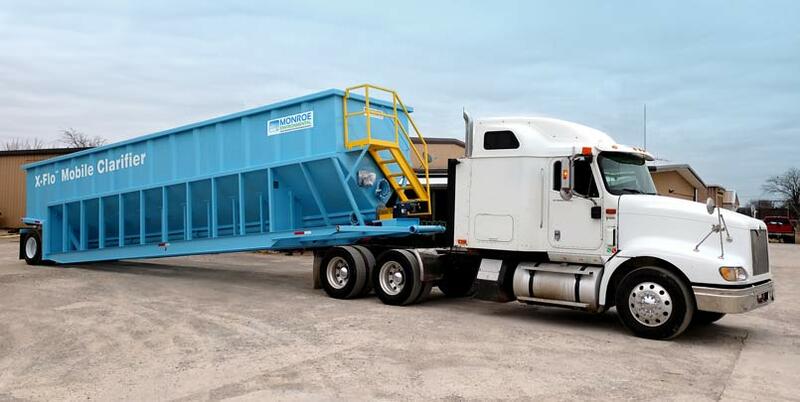 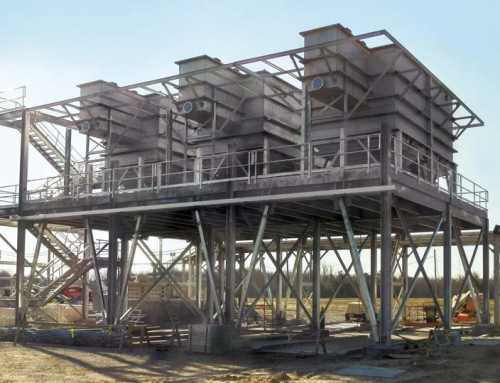 Monroe then engineered and designed the new components to maximize sludge removal, minimize maintenance, and improve the function of the clarifier where possible. 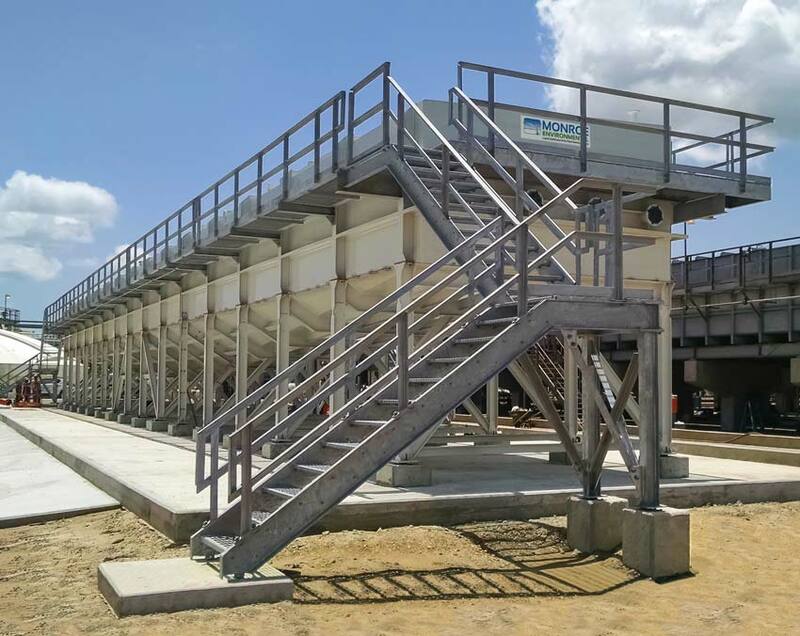 These improvements included an upgraded drive design, modified drive access platform, and a more maintenance accessible sludge collection box. Scope of supply included new rake arms with sludge riser pipes, sludge collection box with control valves, center pier, feed well, scum skimmer arm, bridge with access walkway and drive platform, and high-torque drive with control panel. 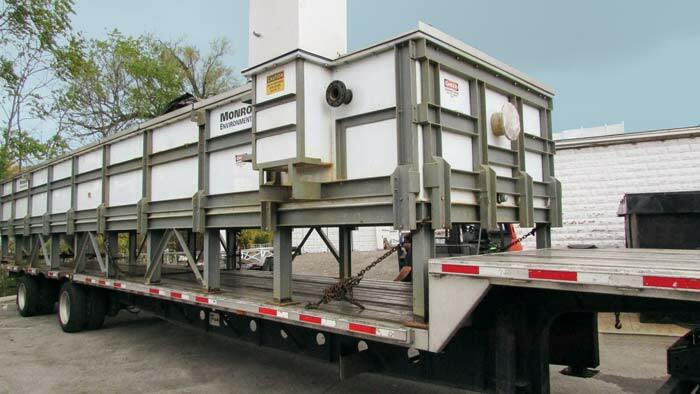 Monroe also provided on-site assistance and supervision during the installation, start-up, and commissioning project phases. 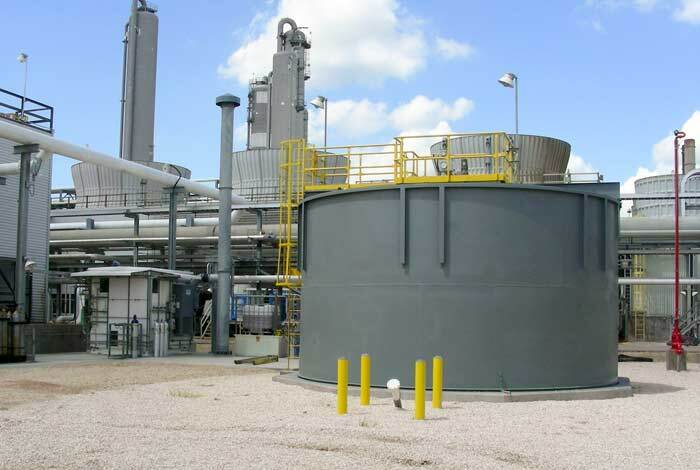 The clarifier was 90 ft. diameter and processed over 2 million gallons per day for the plant.